A termite pretreatment will help protect a home from termites ever invading. Instead of trying to get out termites that have already damaged your home and taken a foothold, you can be sure that the termites never get in. 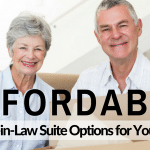 By purchasing a home with the right pretreatment protection, you can save yourself a lot of time and money later. A good termite treatment for a new home build uses multiple approaches. The termite company doesn’t just come in and spray once and move on. A good pretreatment plan will include applying toxic substances that will kill the termites, treating under the foundation and around the home, setting out bait traps, and more. By taking a multi-dimensional approach, the Scottsdale pest control company will create a more effective attack on the termites. It will kill any termites who come near or in your home, and it will keep them from spreading or from damaging any of the wood. Termites can burrow under the ground for long stretches, so don’t think that the area under your foundation is safe. They can build an extensive network of tunnels under your home and create a system that leads easily into your home. If you have to call a termite company after termites have set up under your foundation, it is going to be much harder to reach them. A good pretreatment should begin before the foundation is even laid. The termite control company in Phoenix should treat the ground where the foundation is going to be laid, which will ensure that any termites that are currently there or that will build a colony there later will die. That bit of preventive action will save you a lot of trouble later. Of course, you can’t do much about it if you are buying a house that has already been built. However, if you are looking into buying a house in a new community, make sure that the pretreatment is performed before the foundation is ever laid. Don’t assume it will happen if you don’t ask. Termite control should focus on keeping termites away from your home, not just killing the termites that make it close. A pretreatment should include creating a barrier around the home and around wooden items that come in contact with the ground, such as joists in the crawl space. The barrier should be up to two feet around these spaces. Termites can build mud tunnels of long distances, so this perimeter helps to ensure that any termites passing to the wood will have contact with the poison. We cannot overemphasize the importance of a good pretreatment on a new house build. The proper treatment plan will protect the house from the start, ensuring that termites don’t ever get inside and become a problem. An experienced contractor like Valcon General understands the importance of a termite pretreatment and will hire the right termite company to protect new builds and additions. Do your research when you hire a contractor or shop new home builds. 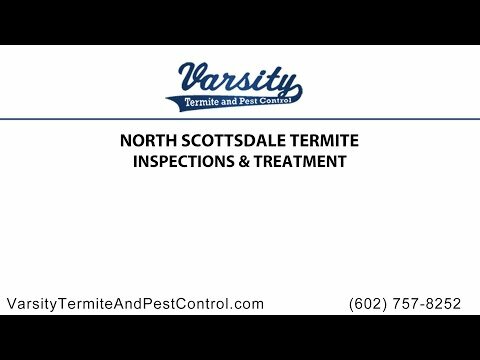 Varsity Termite and Pest Control is a top termite company in Phoenix. We offer complete termite control services, whether you are looking to build a new home or you need to eradicate pests that are already in your established home. We have effective treatment options that will eradicate termites and prevent new ones from taking up in your home or business. We work with contractors to develop plans for numerous properties, and we work with homeowners who need individual attention and treatment. Call us in Phoenix to get an estimate for the termite control services you need, or to talk to us about other pest control services you need. We also treat common pests like ants, spiders, roaches, mice, and scorpions. We can perform a Phoenix termite inspection and provide a comprehensive treatment.